I am a clay artist working in Cache Valley, Utah, a beautiful home of farms and marsh land, tucked in the Rocky Mountains. Recently, I was surprised at how starkly cold the decorated surface of my pottery was. Black and grey silhouettes of birds and tree skeletons graced my forms. It was February and a cold and lingering winter in Utah. I was working daily in the studio, and it was not till I looked back at the photographs from the year that I noticed the extremely strong connection between the seasons and the way I decorated my work. It was as if nature was subtly dictating my brush strokes. In the spring, my art echoed the marshes that grace Cache Valley. Light blues and chartreuse circles with brush work of birds and reeds, brought a serene quality, full of new life to the pots. Later, as summer sat heavily upon us, reds and oranges emerged with Red-winged Blackbirds and Poppy’s smothering the surfaces. And as autumn seeped into the mountains, I was drawn to a simplistic branch and berry design, leaving expanses of open space. This new awareness of how deeply my creativity is connected to the natural world’s cycles, has brought me a sense of settled balance and belonging to my home. 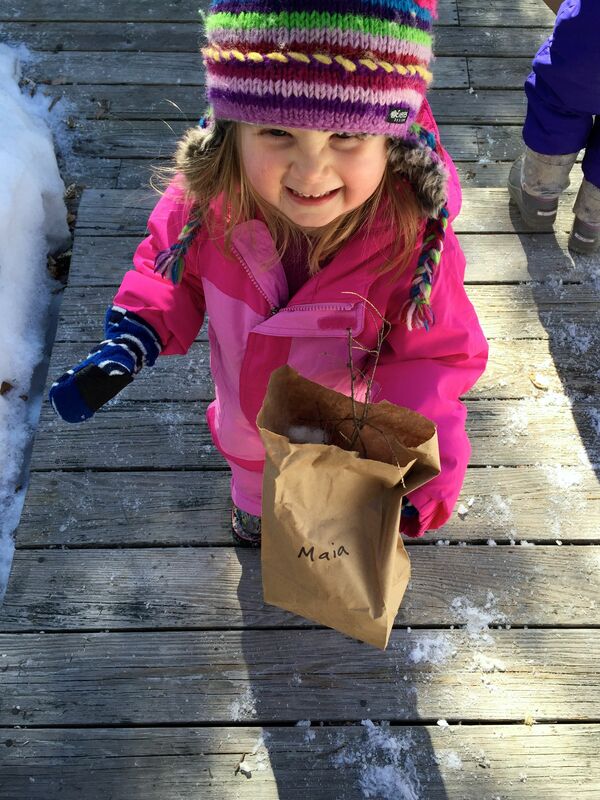 Making art in all seasons with our children, or even by ourselves, connects us more deeply to the places we live and the natural cycle of the seasons. Whether you are an experienced artist or simply playing with art with your children-I hope you enjoy this connection as much as I do. 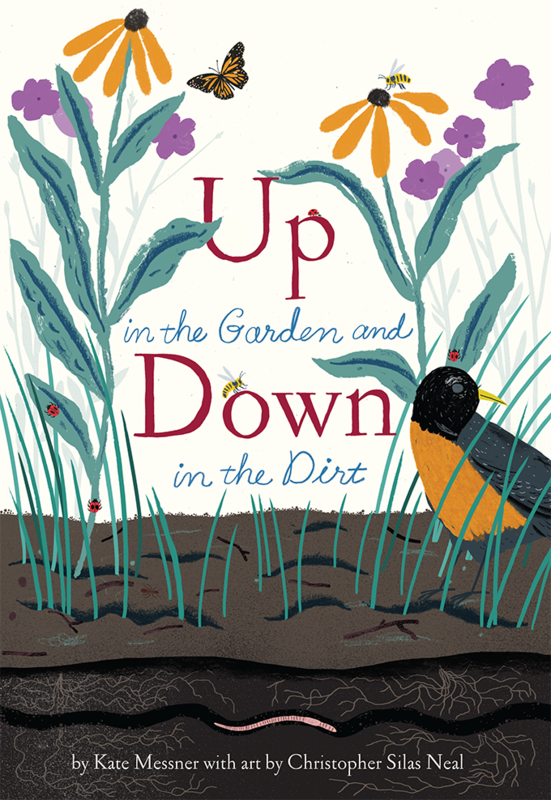 A great new book just came out…Up in the Garden and Down in the Dirt, by Kate Messner with art by Christopher Silas Neal. If you have not seen this book yet we highly recommend it! Summary – Following on the theme of Over and Under the Snow, one of my favorite winter books, the same illustrator/author pair have written a lovely book about the secret happenings under the dirt as spring emerges. I love the idea of what you see and what you don’t see and encouraging kids to use their imagination to think of the busy world that exists underground filled with bugs and worms that all make the vibrance above possible. Reading this after planting our spring garden was perfect in encouraging patience in waiting for seeds to sprout and wondering what is happening to make them grow. Spring continues into the fall when things become quiet and dormant again and the natural world prepares for winter’s rest, which gives the book a nice seasonal progression. At the end, there is a great section at the end of the book that gives extra information on the animals that are part of the story. 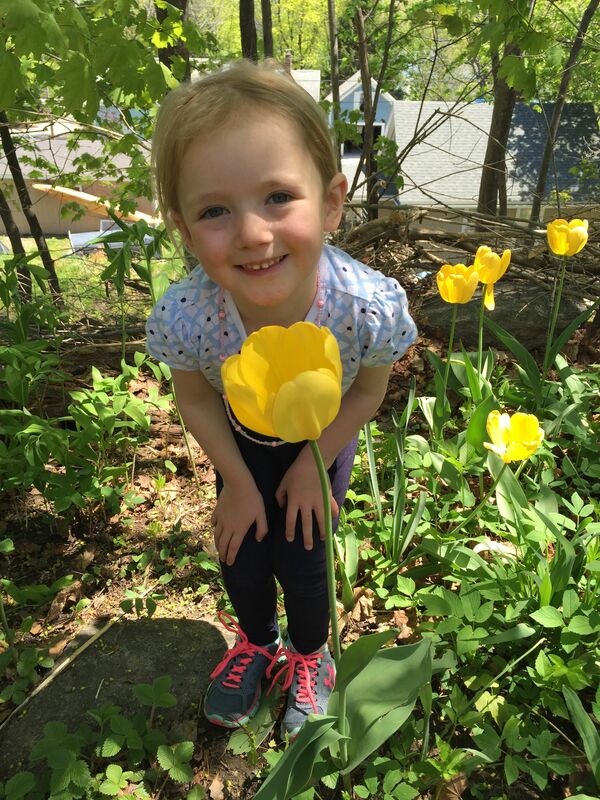 As a little girl and her nana plant, tend, and harvest their vegetable garden, they discover that the world in the dirt is just as busy as the world above. While they water the garden, eat fresh green beans, and read under the sunflowers, down beneath the leaves, pill bugs chew, a tomato hornworm rests, and skunks work the night shift gobbling cutworms. This nonfiction title ends with information about the various animals found in gardens. -Plant a garden and watch and wait for seedlings to emerge. -Have a sprouting race by planting the same seeds indoors and out and seeing which ones emerge first – you might be surprised! -Dig in the dirt outside and see what bugs you find. Suggested Ages: This is a wonderful book for all ages due to the great illustrations-it has very few words per page so a great book to use with preschoolers on up! Nature Families rates this book 5 out of 5 Acorns! Check it out of your local library or add it to your own library–click here to purchase from Amazon-Up in the Garden Down in the Dirt! Nest is a lovely picture book about the life cycle of a family of robins. The book begins with the mother and father taking care of the egg and ends with the fledged baby meeting its own mate and taking care of a new egg. She follows the seasons beautifully and simply with just a few words, which leaves children to their observation skills to look at what changes over time – the leaves, the spots on the young robin’s breast, the food they are searching for, for example. Hurley includes the story of how she wrote the book for her daughters after observing a family of robins herself, which is fun to share with kids. She also includes additional facts about robins, all of which is great information that isn’t too complicated. 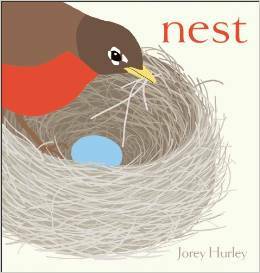 We recommend you try to check this out from your local library but here is a link to Amazon as well….NEST. 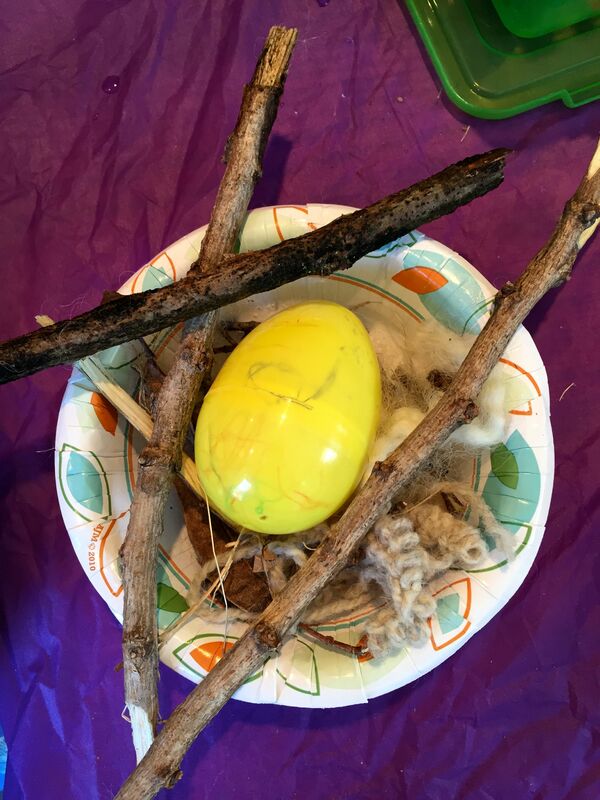 Optional Supplemental Activities – After reading this book consider looking at a real bird’s nest if you have one or go for a walk in the woods looking for old nests! 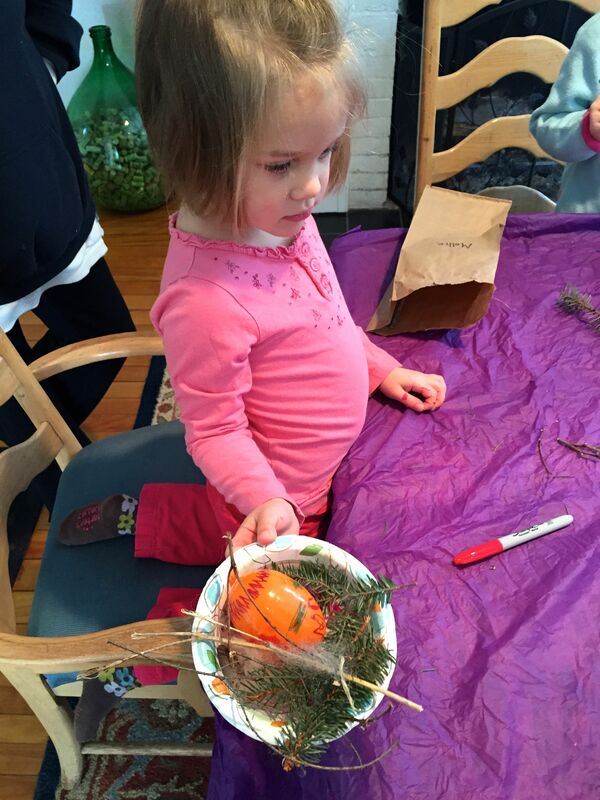 Looking at real birds nest while reading the book can be very fun! 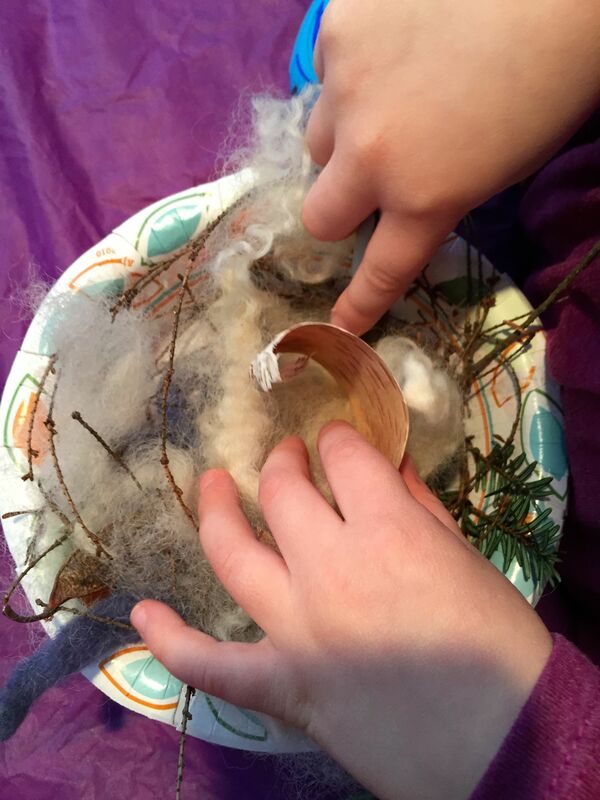 Another fun idea that we tried was we went outside and looked for nesting materials and then made nests out of paper bowls that we lined with yarn, sticks, and leaves using glue sticks. This was EASY and A LOT of fun! 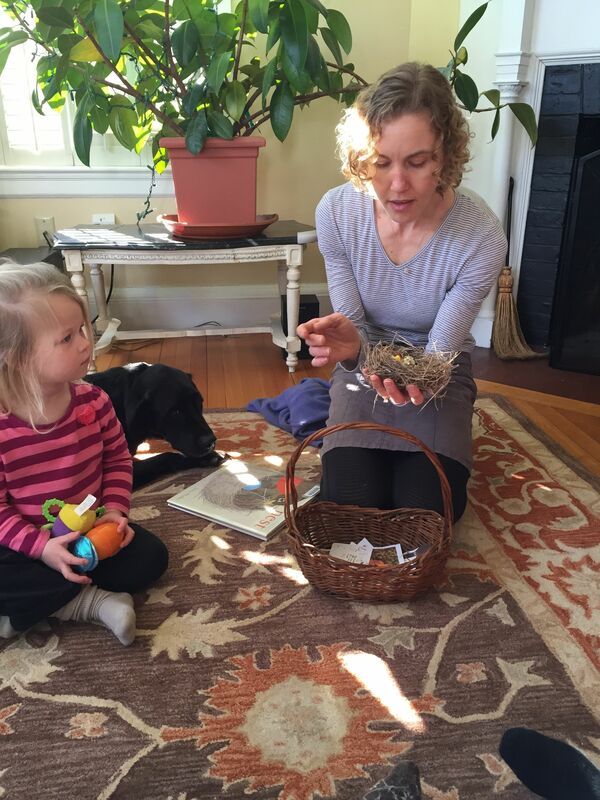 I also gave my kiddos plastic eggs with a candy peep inside to take care of for a week and then we had a hatching party. Nature Families Rating: 5 out of 5 Acorns for simplicity and amazing illustrations! Let us know if you like this book and share your ideas with us on how you paired it with fun activities as well!